Holly Woodlawn has died of cancer at the age of 69. The Puerto-Rico born transgender actress inspired Lou Reed’s Walk on the Wild Side and appeared in Andy Warhol’s 70s movies Trash and Women in Revolt. Holly Woodlawn died on December 6 in Los Angeles, her friend Mariela Huerta said. A memorial service is expected to be held in the city. Holly Woodlawn, born Haroldo Santiago Franceschi Rodriguez Danhakl, took on her new name after leaving home aged 15 and hitchhiking to New York City. She told the Guardian in 2007 of her brief fame after appearing in Warhol’s films: “I was very happy when I gradually became a Warhol superstar. I felt like Elizabeth Taylor! Holly Woodlawn also explained that she did not get to know Lou Reed properly until after the song’s 1972 release. Despite receiving critical acclaim for her film work, she did not find mainstream success. Holly Woodlawn also appeared in 90s independent movies Twin Falls Idaho and Billy’s Hollywood Screen Kiss, as well as the Golden Globe-winning series Transparent, about the father of an LA family who comes out as transgender. They played a couple in Trash, produced by Andy Warhol and directed by Paul Morrissey, living in the fringes of New York’s East Village, scrounging for food and drugs. 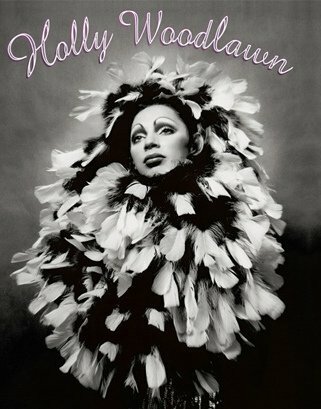 According to Mariela Huerta, Holly Woodlawn, who had been battling brain and liver cancer, had no surviving relatives.